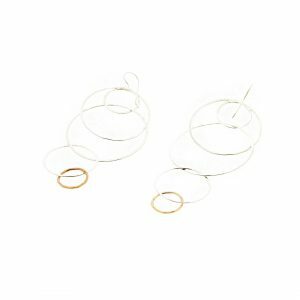 Collartz presents Lilian Syrigou original 2D Silver Earrings Collection, with Silver Earrings of different shapes and colors. 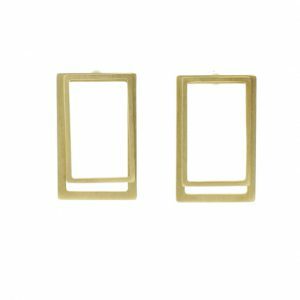 Sometimes they are two rectangles, squares, circles or half-moons. Sometimes, they are a combination of two of these shapes. 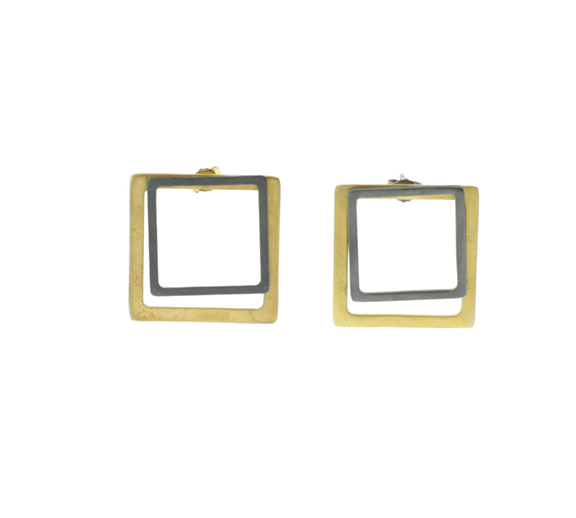 Here we suggest the 2D Silver Earrings, with two Squares 3 cm high, one Gold Coated, the other Oxidized Silver. 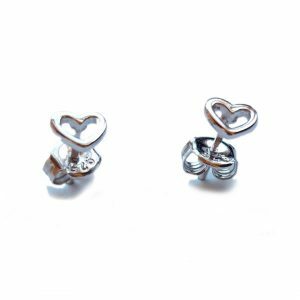 As with all 2D Earring Collection, one piece is placed in the front, the other in the rear of the ear. Collartz presents the Greek Artist Lilian Syrigou, based in Berlin, through the Collections 2D Earrings and GEO multithread colorful Collars. Lilian adores Silver and crafts every piece of unique jewelry by hand, paints it, combines it with colorful ribbons and semi-precious stones. Lilian draws her inspiration by what she admires, she loves, she enjoys, makes her dream, feel like a child again or brings her back to real life and its square logic. 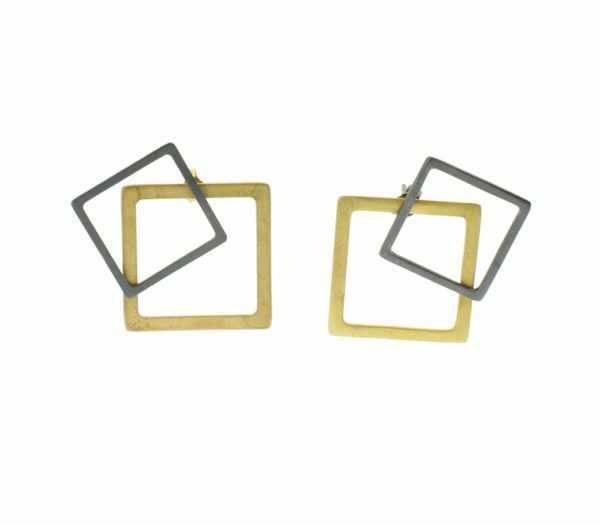 Lilian Syrigou surprises us with her original 2D Silver Earrings Collection, with Silver Earrings of different shapes and colors. 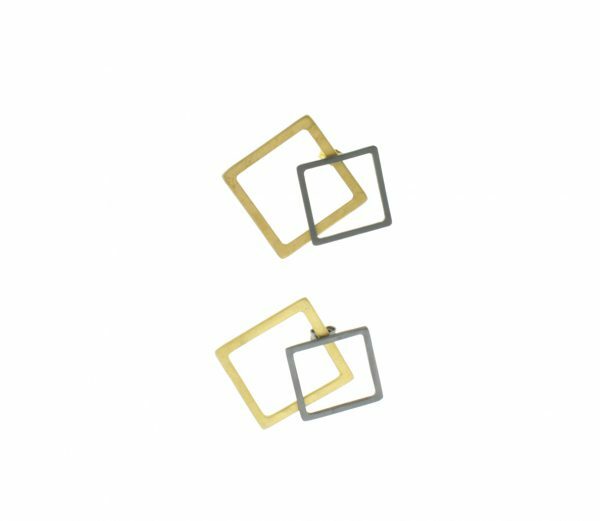 Sometimes they are two rectangles, squares, circles or half-moons. Sometimes, they are a combination of two of these shapes. 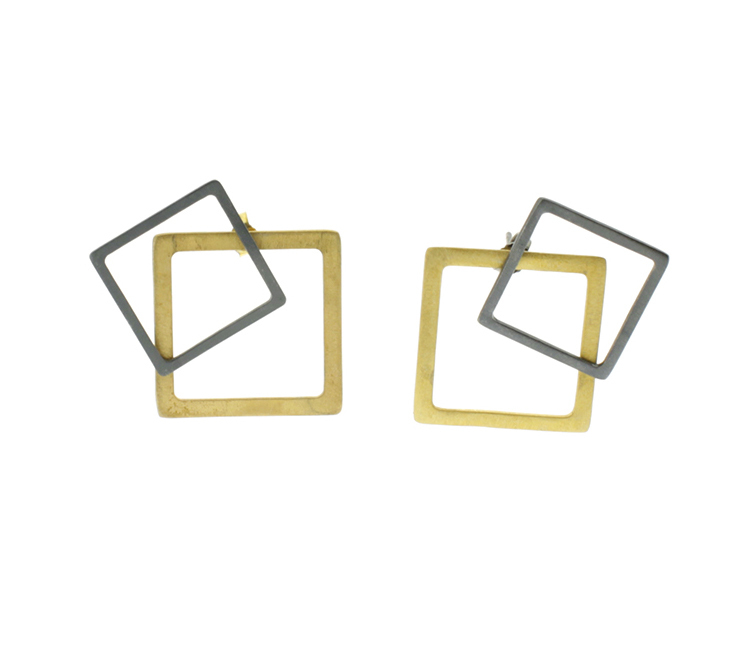 Here we suggest the 2D Silver Earrings, with two Squares 3 cm high, one Gold Coated, the other Oxidized Silver. 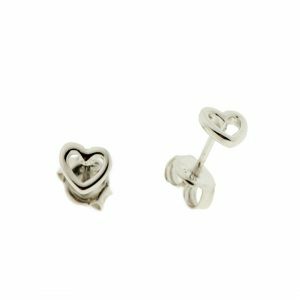 As with the entire 2D Collection, one piece is placed in the front, the other in the rear of the ear. Creating a very unique sensation of Flow. 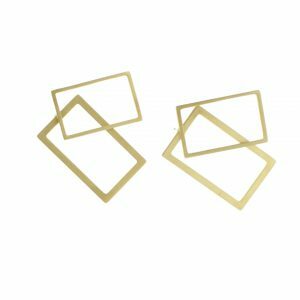 Collartz invites you to enjoy this versatile Collection, by combining the Earrings both in shape and color, and to feel even more free than ever.